Did you know that with nearly $300 million in annual R&D expenditures, the University of Arizona, Tucson is the state’s leading research university? The University of Arizona also provides the state a $2 billion boost every year and employees nearly 15,000 life science professionals. With so much in funding and so many people involved in the life science field, the University of Arizona, Tucson is a well-funded and growing marketplace for science supply companies to find new leads for their lab supplies. Join us at the 13th annual BioResearch Product Faire™ Event in 2015 where lab supply companies have the opportunity to meet face-to-face with over 100 life science researchers. 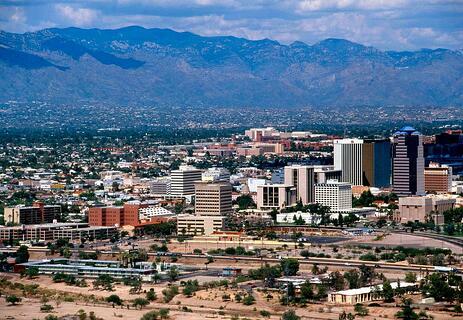 In the 2014 fiscal year, the University of Arizona, Tucson received $76.8 million in life science funding from the NIH. This funding came in the form of grants and awards that researchers and labs could use to support their work and start new projects. UAZ received $393,725,988 in research grants for fiscal year 2013-2014. The University of Arizona research funding has increased by $188 million since 2002. The University of Arizona is to lead research into origins of cultivated rice and possible improved drought resistant varieties, with funding of $9.9 million from the National Science Foundation. The University of Arizona is part of a consortium sharing a $9 million contract from the U.S. Department of Agriculture to discover new ways of preventing and fighting citrus greening disease. The University of Arizona has been awarded $8 million over four years to research how algae can be grown outdoors all yearlong. To see images from the 2014 show, visit the photo gallery here. 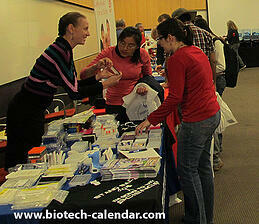 Last year, the BioResearch Product Faire™ Event at the University of Arizona, Tucson attracted 135 attendees. Of these attendees, 28 were purchasing agents, professors and post docs, and 23 were lab managers. The attendees came from 17 different research buildings and 37 on-campus departments. At the upcoming 2015 event, a similar turnout is expected. Don’t miss this opportunity to participate in the BioResearch Product Faire™ Event in Tucson, as either a lab supplier or a researcher. 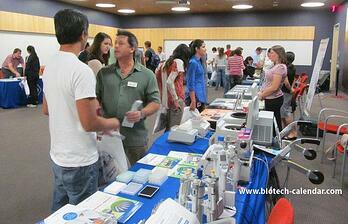 Lab supply companies are able to market life science solutions and products to Arizona researchers. Join us for the upcoming Tucson BioResearch Product Faire™ Event on November 19, 2015. Visit the button below for more information about exhibiting. Tucson area researchers will be able to find new products and technologies that can help in research labs. Visit the button below to learn more about attending the event and to pre-register.